The first thing that appears on The New School website is a John Cage quote: “I can’t understand why people are frightened of new ideas,” it reads. “I’m frightened of the old ones.” At The New School, where I direct the university archives, there is a shadow of suspicion cast over the idea of the old. Newness has been central to its identity for a century. Its mission stresses a dynamic, future-focused vision. We “innovate to address shifts in the global economy, society, and environment.” We are “nimble.” We are “responsive to change.” The New School has an impulse toward recurrent reinvention. 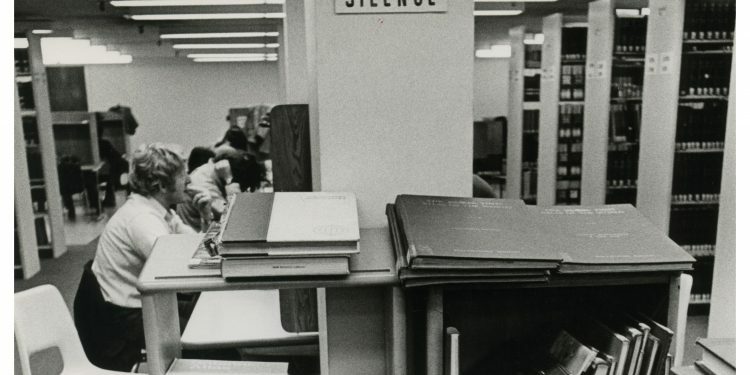 If an archives is perceived to be a site of retrograde nostalgia whose purpose is to revive conservative, old ideas, then a shadow of suspicion is cast over a university archives, too. The very idea of an archives does not align, even outwardly conflicts, with The New School’s idea of itself. It’s not surprising, then, that The New School Archives itself is new. We’ve only been in existence since 2012. Yet in these six years, The New School Archives has grown to a staff of five professional archivists, with 341 collections, 2,200 linear feet of physical material and 18 terabytes of digital assets (that’s 268,651 files). How did a thriving archives emerge inside a school focused on the new? Gradually at first, then all at once. Faculty, students, staff, and communities from outside The New School were crying out for access to the university’s material past. It turns out that preserving and providing access to its history is essential for a university committed to forward-looking engagement. In retrospect, the archives was always inevitable. As director of the Kellen Design Archives, in 2008 I was charged with documenting the history of Parsons School of Design and collecting design-related materials. But when the university community got wind that there was a professional archivist on permanent staff for the first time, requests began rolling in for information about moments in New School history that had occurred long before Parsons became part of it. (Founded in 1896, Parsons didn’t join The New School until 1970.) Did we know anything about a 1940s study on German propaganda? Was it true that a curtain covered the Orozco murals in the 1950s? How did the New School president respond to the anti-war protests of the 1960s? A portrait of a woman with coiled braids has always been on my office wall — was she anyone important? Next came the calls. Departments were moving offices and downsizing — could we do anything about their old files? In 2009, we transferred into the Kellen Design Archives the original construction drawings for the 1930 Joseph Urban building at 66 West 12th Street. If we hadn’t, they would have been tossed. In 2010, faculty members Julia Foulkes and Mark Larrimore asked Kellen staff to digitize some fragile publicity scrapbooks for a class. And in 2012, the provost, Tim Marshall, asked us to compile historical course titles to display on the windows of the new University Center. It was this request that led us to scan hundreds of New School, Parsons, and Mannes course catalogs. Then came a key convergence: For years The New School had maintained three independently-run libraries, but in 2012 University Librarian Ed Scarcelle was reshuffling the libraries along functional lines in order to create one, unified New School Library. We saw an opportunity. Why not make one, unified archives, too? Certainly there were challenges. Resources were as scarce as ever and we were coasting on the fumes of the initial gift from Anna-Maria and Stephen Kellen. But the archives’ infrastructure was in place, and this was already happening anyway. And so, in true New School fashion, we changed our name. The New School Archives was born, representing all New School divisions. No explicit mandate had come from president or provost, no funding fell at our feet. We simply declared it so and no one told us not to. We were willed into being, enabled by a harmonic convergence of structural possibility and popular demand in an institution with a historical bent for the bold improvisatory gesture. But The New School Archives could not have sprung to life as it did had there been nothing to go into it. All over campus there were boxes and file cabinets and closets packed with records. We began to gather and assess them. But the records were not safe. In part, they languished because of a common misconception about archives. While archival collections often comprise old materials preserved in a physical repository, an archives itself is an ongoing proposition, a multidimensional, evolving operation, rather than a one-time project. All the well-meaning initiatives at The New School over the years failed to address the long-term requirements for activating and sustaining an archives. Archival materials, even once made physically safe, remain opaque and inaccessible. It is the task of overcoming this opacity that comprises the vocation of an archivist. Archivists arrange and describe masses of records to make sense of the context within which they were created. This work in turn furnishes researchers with the means to explore and understand the materials without losing their bearings. The work is ongoing because the goal is to continue documenting the history of the school, not merely to preserve it. New School history continually bursts onto the scene to inform contemporary conversations. Take the recently-launched New University in Exile Consortium — in name, ethos, and logo the group draws on institutional legacy. Or take another example: A few years ago, grad student Chris Crews came across an audiotape with Martin Luther King, Jr.’s name on the box. We digitized it and, sure enough, there was Dr. King’s unmistakable voice coming from the stage of the New School auditorium in 1964. The university celebrated the recovery of this moment and connected the crisis King’s speech was addressing to current conditions. The archives is a partner in bringing such proud stories to light. But we ought to be honest as well. The newness of The New School is both an aspiration to be innovative and forward-thinking and a marketing tool. John Cage’s quote is both true to the School’s spirit and part of a carefully crafted image to draw students — an image that requires a careful curating of its past. A properly-functioning archives, however, preserves not only the materials that support such an image, but a full history of The New School. In the archives, alongside documentation of Dr. King’s visit, materials reveal that, under pressure from the Board of Trustees, organizers disinvited Malcolm X from the very same lecture series. This more complicated memory is not so easily inserted into stories that burnish the school’s progressive bona fides. History is messy. 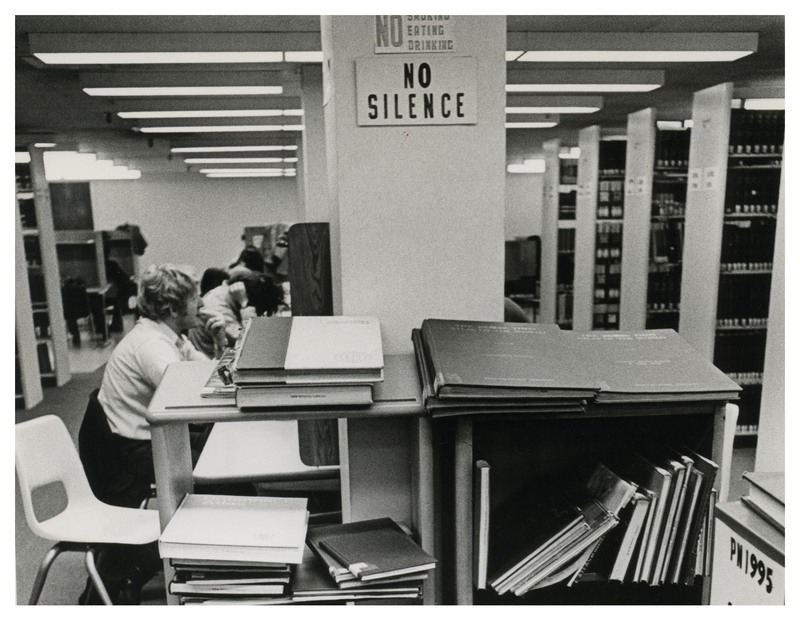 Archives hold materials that expose more troubled aspects of the institutional past. This kind of airing can disrupt the well-crafted image. As it hurtled toward the new, the school let languish its suspect old. A misunderstanding about what it means to make and sustain an archives compounded the neglect. And how many administrators working to keep their university viable in a fiercely competitive education marketplace will throw their full-throated support and scarce resources behind a program devoted to preserving an always messy, sometimes disruptive, past? The New School was founded in 1919 to deliver a new form of education, giving adults the intellectual tools to tackle the social problems of the moment. The study of history, rather than valorizing the past as a means to legitimize present-day structures, must be used to interrogate motives and events, equipping students to become “leaders of larger vision.” The New School today embraces this founding commitment and recruits students who aspire to change the world. This kind of restless mind, impelled to pursue questions down divergent pathways, enacts and embodies the core values of the university. These same students insistently push beyond the language of recruitment to understand how, and who, the school really was and is. As we work to collect and make known the raw historical record of the school, The New School Archives enacts and embodies the school’s founding, and ongoing, mission. Wendy Scheir directs The New School Archives and Special Collections. She has written and presented on a range of topics related to archives, including institutional identity, historical exhibition, appraisal of design records, and archival finding aids. The New School archives can be accessed here and here. This and the following quotations from the archives’ pre-history are drawn from the Raymond C. Fogelman Library records, NS.08.01.01, The New School Archives and Special Collections. Though not yet fully processed, the collection is open to the public.